Neil Dahlstrom, manager of the John Deere Archives and History, shares his insights on this historic tractor. 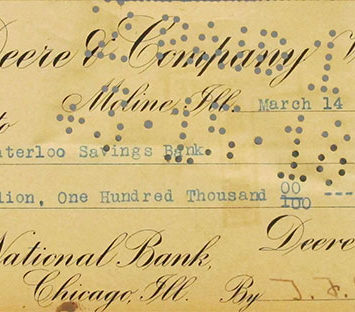 One hundred years ago on March 14, Deere & Company wrote a check for $2.5 million dollars and forever changed the future of the company. The acquisition of the Waterloo Gasoline Engine Company in Waterloo, Iowa, marked John Deere's permanent entry into the engine and tractor business. John Deere's tractor era began with the acquisition of the Waterloo Gasoline Engine Company and the Waterloo Boy tractor in 1918. 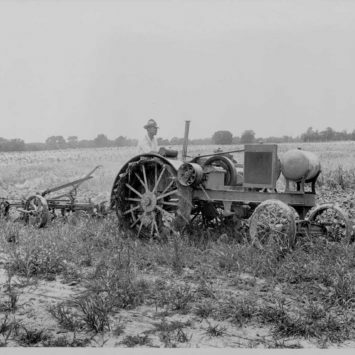 The John Deere Waterloo Boy tractor debuted at the National Tractor Demonstration in Salina, Kansas, in August, 1918. 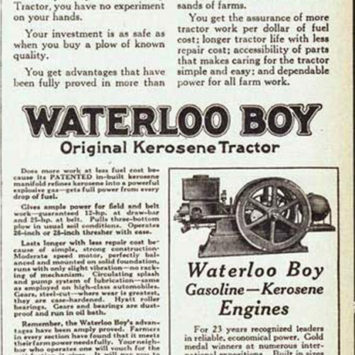 Deere spent $50,000 on tractor advertising in the year following its debut of the Waterloo Boy. 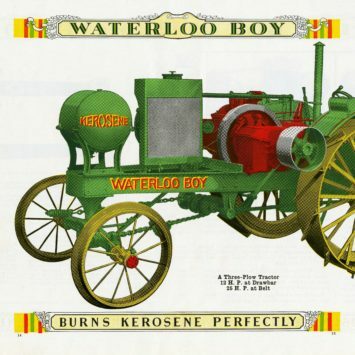 Deere & Company considered the Waterloo Gasoline Engine Company a long-term investment. It took nine years for the tractor division to report a profit. 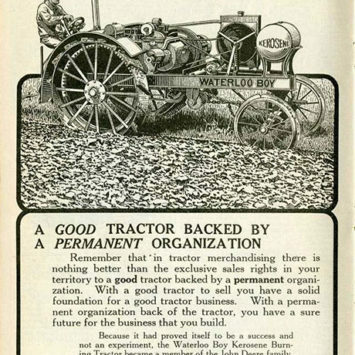 Deere's first Waterloo Boy print ad for the trade press appeared in the Farm Implement News in January, 1919.